In-app messaging is a type of mobile messaging where the notification is displayed within the app. Examples include popups, yes/no prompts, interstitials, and more. In-app messaging is everywhere, yet its full potential may not be immediately obvious. As a rule of thumb, marketers send messages to bring users back to the core product. Emails, push notifications, text messages — pretty much all forms of outbound communication share the same objective. With this paradigm in mind, you might wonder why mobile marketers obsess over in-app messaging. Why bother sending a message when the recipient is already using the product? The truth is, mobile messaging isn’t just a re-engagement tool. Some mobile marketers use in-app messages to enhance the user experience. Perhaps you’re giving users a rundown of the latest game updates or reminding them of a limited time-offer. Whatever the use case may be, you’re using in-app messages to add value to the app, instead of merely reminding people that the app exists. Broadly speaking, there are three objectives for sending in-app messages: information, reward, and monetization. We’ll outline each approach to explain if and when you should use them. Not every app can follow the Ikea philosophy of textless instruction. More often than not, apps require a certain amount of text to explain what’s going on. Text isn’t always a bad thing, but if it’s on-screen at all times, it could clutter the user interface. In-app messages are a common solution to this problem. Consider the following use cases. Onboarding, interactive tutorials, tip-of-the-day — there’s a good chance your app uses one of these instructional flows for new users. 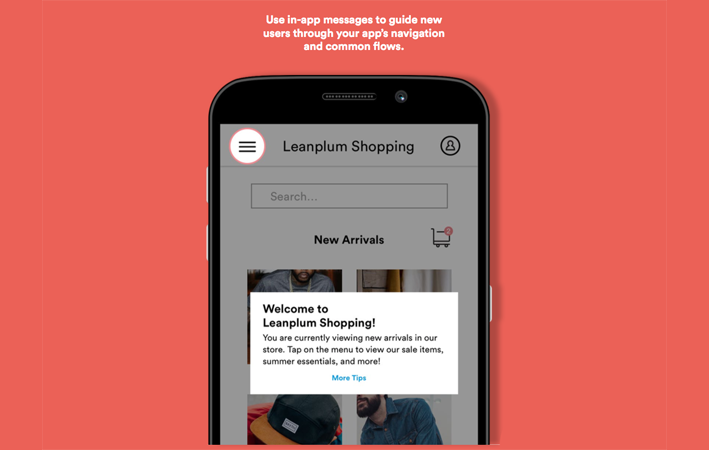 In-app messages are frequently used to implement onboarding flows without bogging down the usability for experienced users. The first time you open a new menu or feature, your app could display a message that explains how that feature works. In-app messages can occupy the full screen, so there’s ample room to describe the feature with both text and visuals. Once the tutorial screen is closed, there’s no need to display it again unless the user finds it in a help menu. This way, the tutorial info is accessible when necessary, and it doesn’t take up precious screen space all the time. By default, app publishers describe the details of each update in the changelog, which is visible from the App Store. But, realistically, not many users will read the changelog for every update. This is especially true if a person’s apps are set to auto update. Some updates consist mainly of bugfixes and UI tweaks; these usually aren’t worth calling attention to. But what if you’ve launched a new feature or changed the layout? People want to hear what’s new in a major update, as it improves their everyday experience. In-app messages are a seamless way to inform your audience of changes as soon as they launch the app after an update. 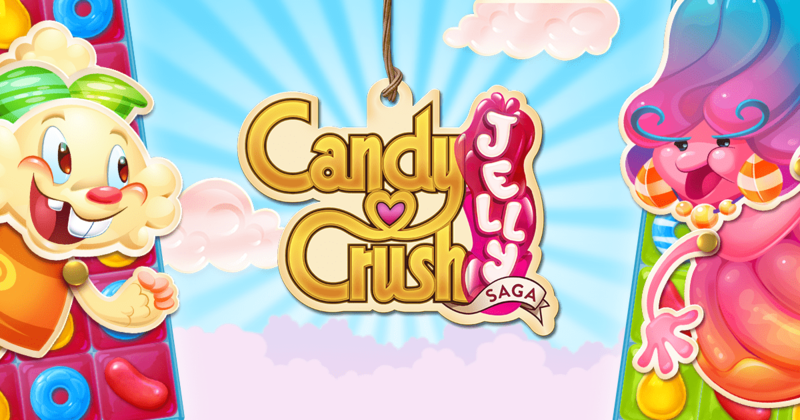 Mobile game developers know that reward is just as precious as challenge. Players need a certain level of challenge to remain engaged, and it’s far more satisfying to complete a challenge when there’s a reward waiting at the end. 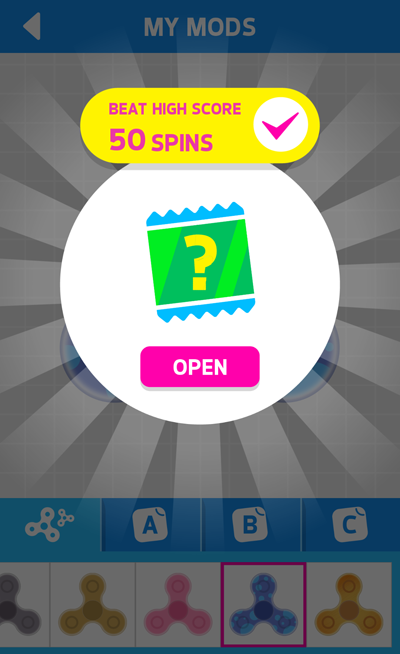 In-app messages can enhance the player’s sense of reward. Let’s say players earn a given number of coins for completing a level: you could silently add the coins to their in-game wallet, but it’s more effective to display their earnings in a popup at the end of the level. This way, the player knows exactly what they accomplished and what they’re getting for it. Unlike other messaging channels, in-app messages are owned entirely by you — meaning you can visually style the content as you please. Bells and whistles like animated text, background graphics, and a custom color scheme can viscerally enhance the feeling of reward. These cosmetic changes aren’t just for show: game developer MobilityWare lifted its daily active users (DAU) by five percent after customizing its in-app messages. Don’t forget, rewarding in-app messages aren’t just for games. Many retail and travel apps have loyalty programs that reward customers for making a certain number of purchases. Every time the user upgrades their loyalty status or unlocks a freebie, announce it with an in-app message. It’s also possible to offer discounts as rewards for reaching in-app milestones. 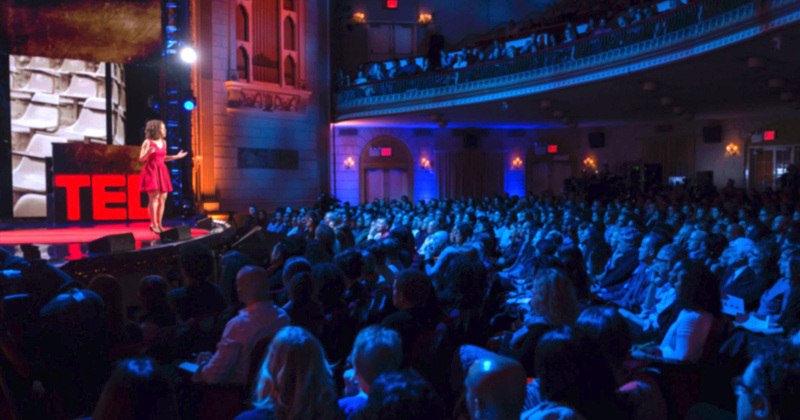 Normally, retailers offer discounts to large audiences all at once. This helps with supply chain and logistical issues, but it’s possible to personalize discounts to individual users. Try offering store points or limited-time offers when people hit engagement milestones like filling out their profile or bookmarking five items. These achievements can be awarded with flashy in-app messages, just like in games. Behaviorally triggered discounts reward users for their work, making the deal feel more organic than other promotions. 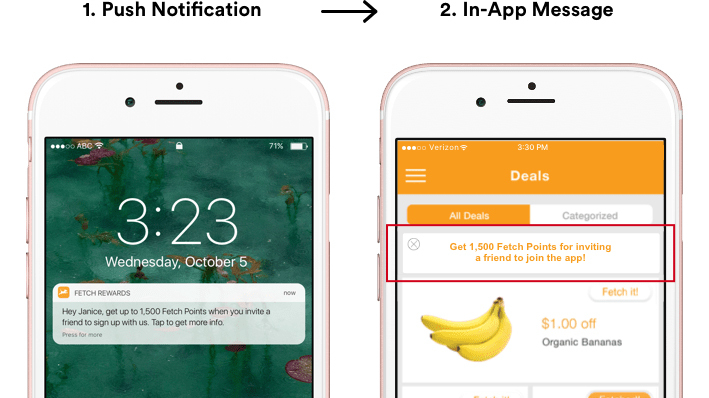 By tying in-app achievements to flashy in-app messages, marketers can maximize the impact of these systems of reward to keep users coming back. Achieving a high DAU count is impressive, but it doesn’t pay the bills. Users must monetize for an app business to succeed. For apps that monetize mainly through purchases rather than ads, it can be difficult to convert fans into customers. Many users need an extra push to convert. 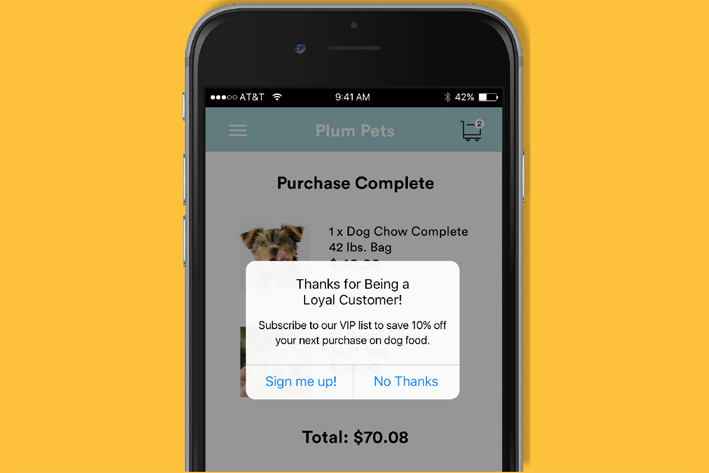 For developers like Fetch Rewards, in-app messages were the perfect way to encourage retention and conversions. The team drove 140 percent more visits to a key page after implementing a cross-channel campaign that included in-app messages. These monetization messages pair nicely with deep links. Direct users to monetization pages by deep linking straight from the in-app message to a promotion or checkout page. We’ve written a lot about messaging channels like push notifications and email in the past, from best practices to specific tactics. It’s easy to see push or email as the dominant mobile messaging channels, with in-app messaging merely tagging along — but this could be a costly mistake. In reality, mobile messaging channels are more than the sum of their parts. In-app messages don’t reach their full potential until they’re made to complement other channels. Push notifications and email bring users back to the app, and in-app messages engage users within the app, offering unique value. Keep this dynamic in mind next time you’re orchestrating a messaging campaign across channels. 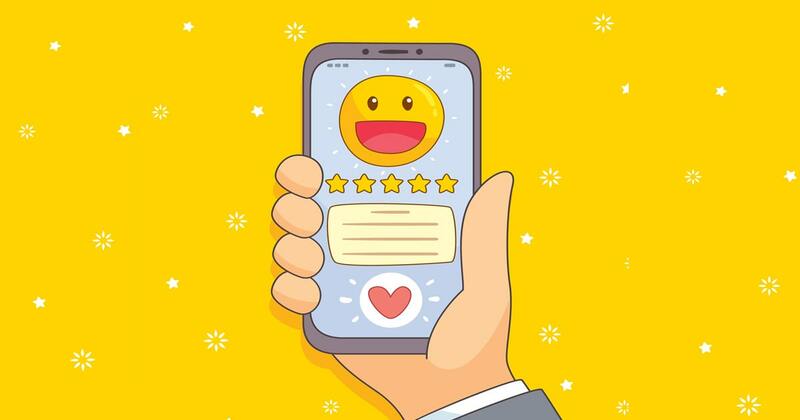 With these in-app messaging use cases, you’ll find that there’s more than one way to delight users and give retention a healthy boost.